Your computer works on a very simple to understand principle that has been established since the dawn of personal computers. You have the hardware system that does all the calculations needed and you have the software system that sends and receives all the information from the hardware. The software part mainly consists of the operating system and the programs. Now, because there isn’t a direct link between the operating system and the hardware components, the need for drivers is pretty clear. 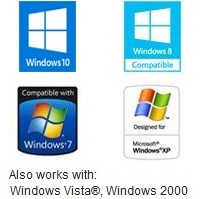 In a windows based system they are parts of the operating system, so you will find the drivers in the system folder where Windows was installed. If you want to modify anything or simply know where to look for the drivers physically, they are located in the same folder as Windows. On the other hand, if you want to modify settings or simply access some information about your hardware components, you have to look somewhere else. In order to find the available information and the driver settings for a certain hardware component, you will need to go to control panel, select hardware settings, and go to the driver tab. This might be a bit different depending on the operating system you are using, but if you manage to find control panel, you will find the drivers and settings as well. Finally, if you want an information sheet with complete details about your system driver, we recommend a free driver scan. This should help you a lot if you want to sell the system and don’t want to be bothered with writing a list of all the components. You can also see in the blink of an eye which of your drivers is not working properly or causes any kind of errors in your system using the same programs.